These prices only apply for the province of Alberta. Please contact your STP Sleepover Specialist in your province and request a quote. 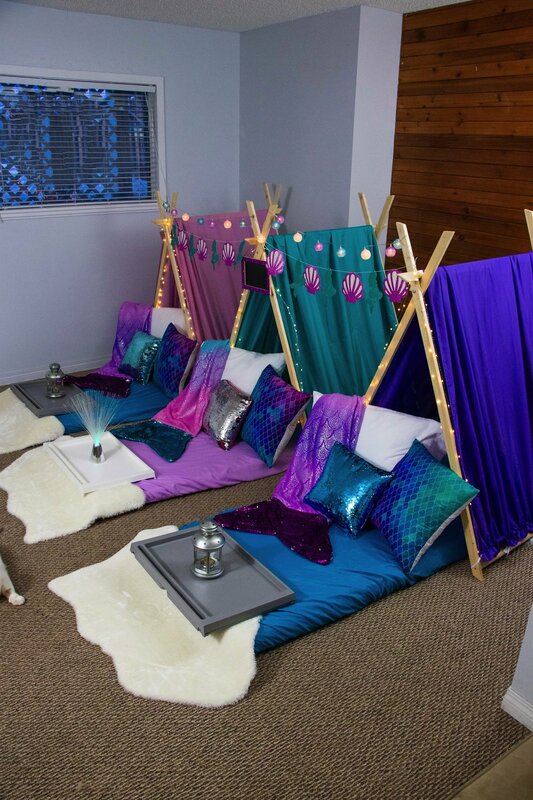 For the Princess dreaming of magic carpets, a genie in a bottle and a whole new world. 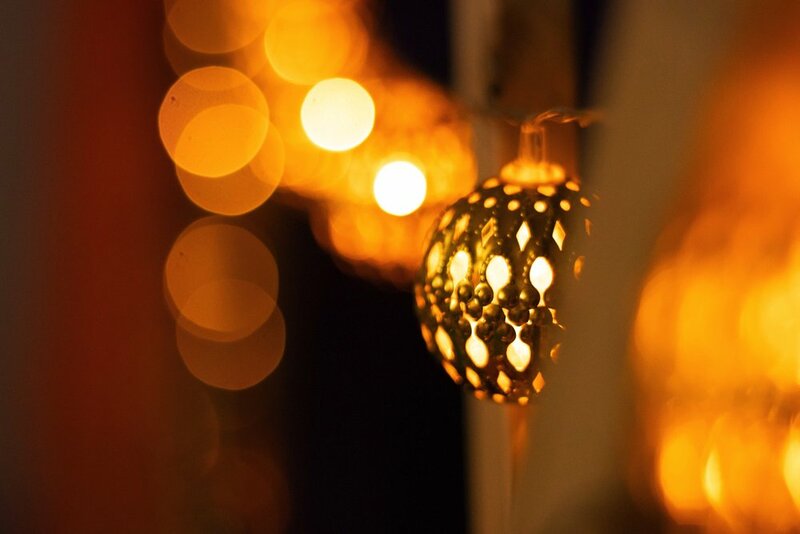 Bright colors, exotics bunting, luxurious gold lamp, stunning fairy lights and much more! 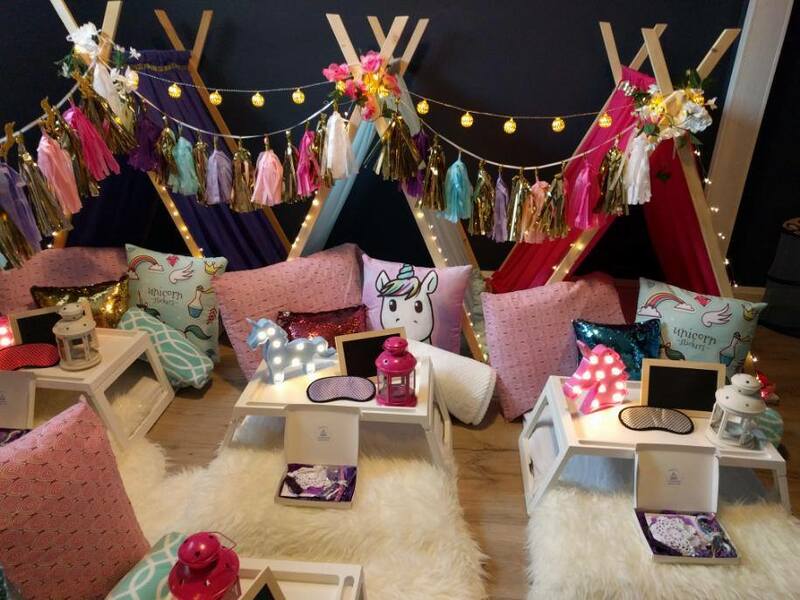 If you love the boho feel of The Free Spirit group teepees, the option is now available in the individual style. 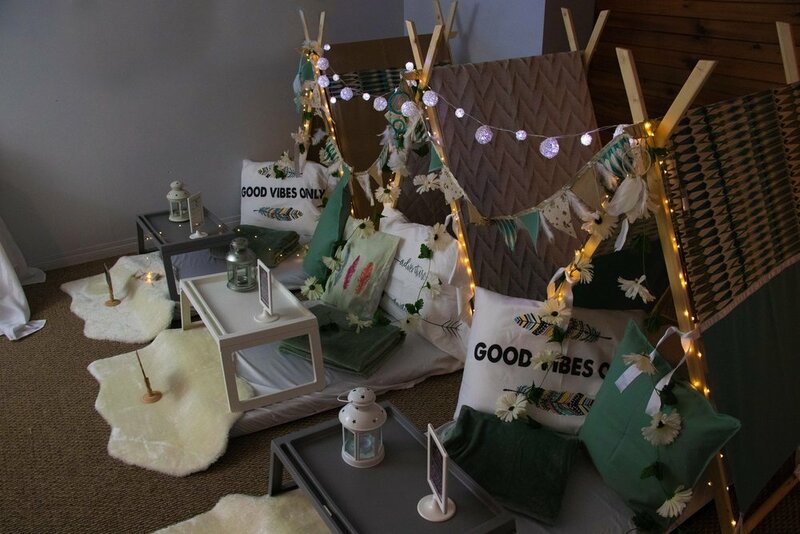 Get your good vibes on with this eclectic, fun and free spirited theme. Everyone wants to be a mermaid! 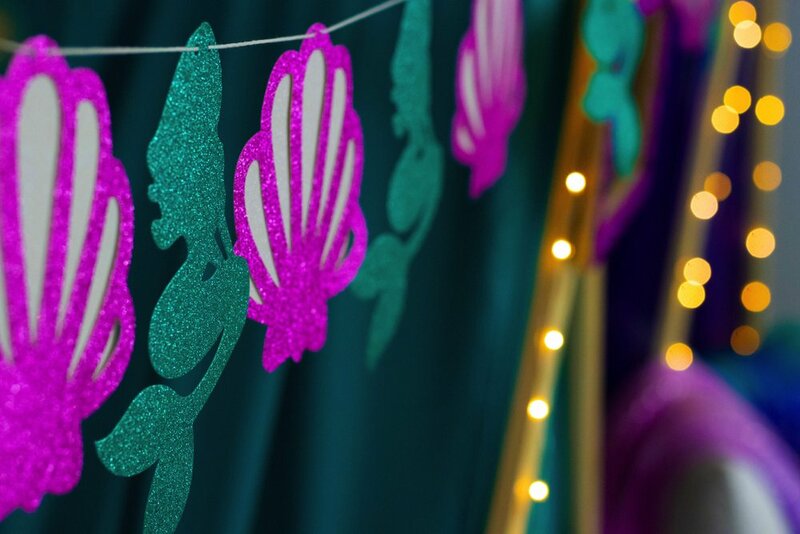 Mermaid theme is super popular, magical and girly! 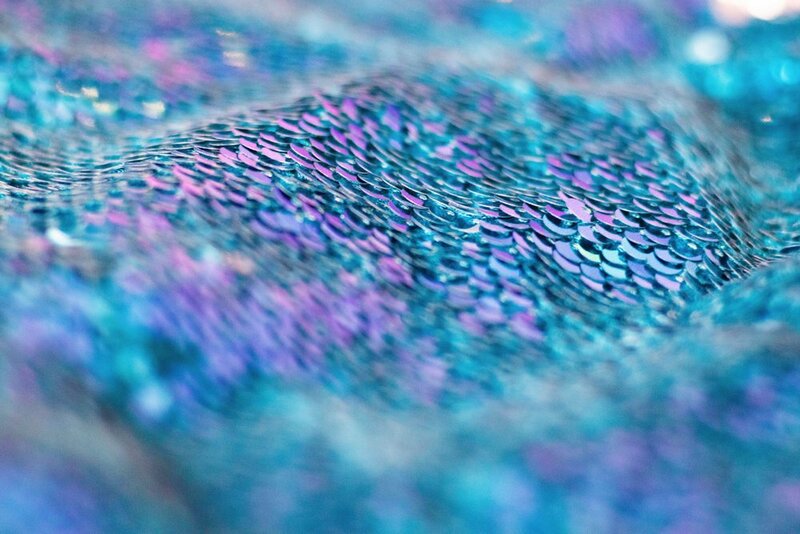 We love the gorgeous colors associated with this theme full sparkles and shimmers. The feel of this theme is certainly masculine, but without compromising style and comfort! 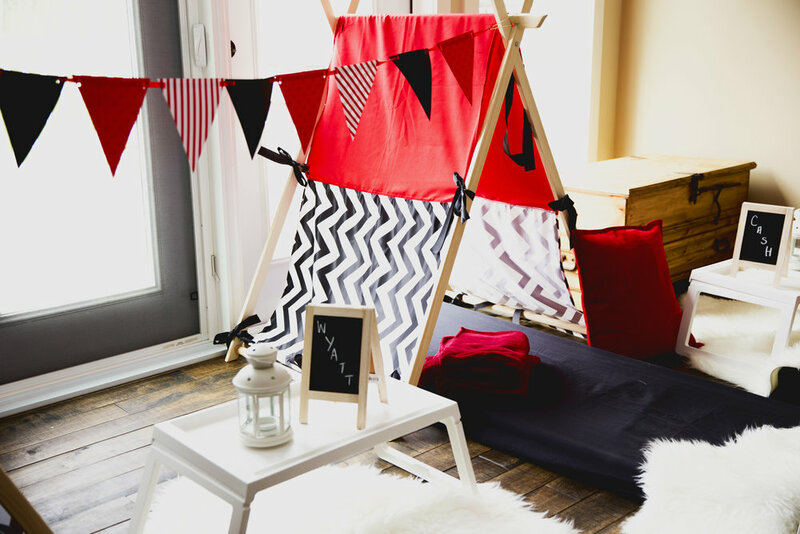 The modern man-cave is decorated with black and white chevron and bold red with plush carpets that provide texture and of course, a soft spot to sit! Flag banners are hung festively. This style is full of blooming, enchanted roses. 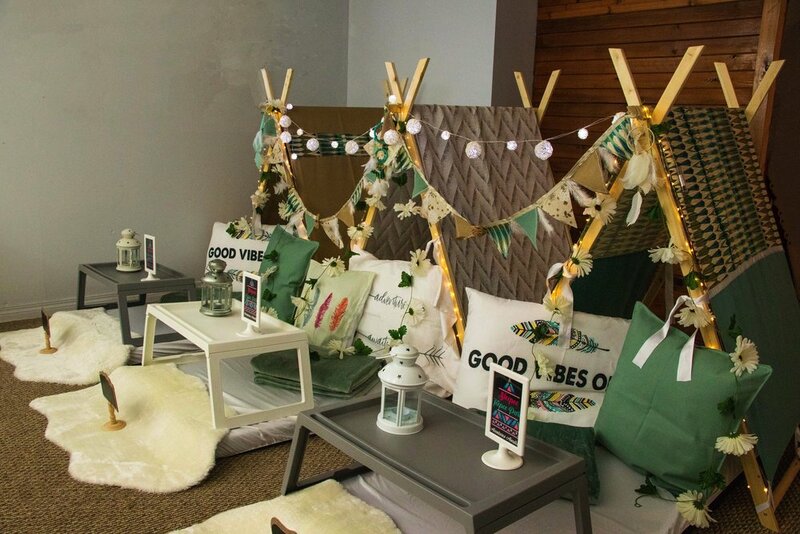 We drape flower garlands between the teepees, bringing a modern fairy-tale look to your party. Soft pinks with floral print are intermixed with solid dark pink teepees with garlands to tie this lovely theme together. 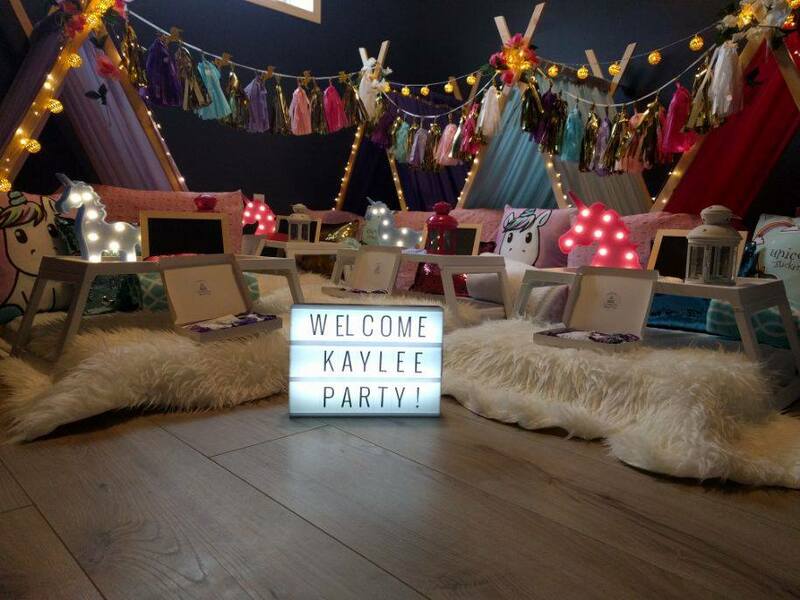 This theme is for the girl that dreams in bright colours complete with glitter and being carried away on the back of a magical unicorn. We use bright shades to bring a rainbow right into your own home, and pair it with cheerful pops of glitter and unicorns. 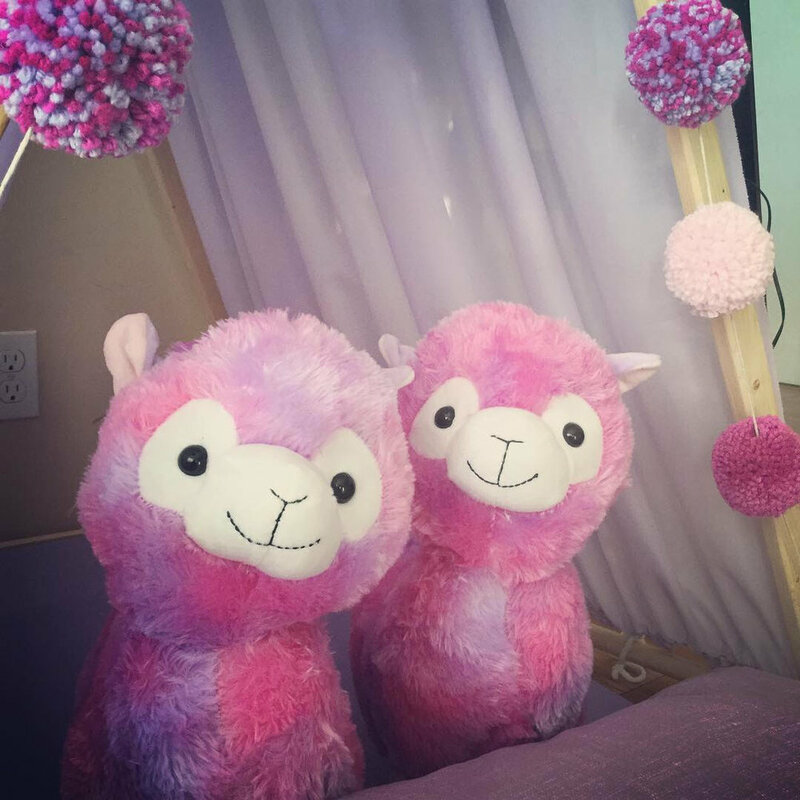 Llamas are the newest obsession and this theme seriously will make for the best Sleepover Party! This theme will definitely capture your heart! STP theme “Hola Llama” with stuff animal llamas is the cutest thing ever! Llama theme parties are the newest trends! We are dedicating our time to making a beautiful, elegant and fun Flamingo theme. 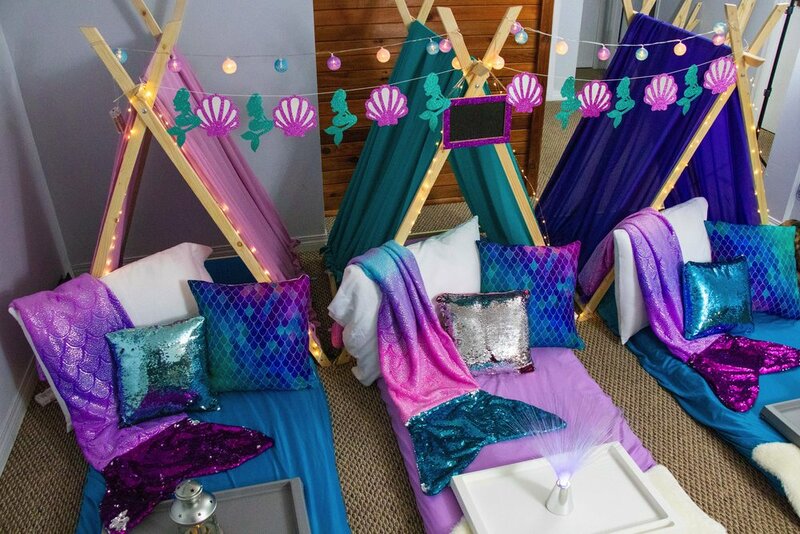 This theme has everything for a fun night at your sleepover. Love and Peace signs, brightest and happiest colors: pink, blue, green, yellow, disco ball & more !! This theme will be available soon! 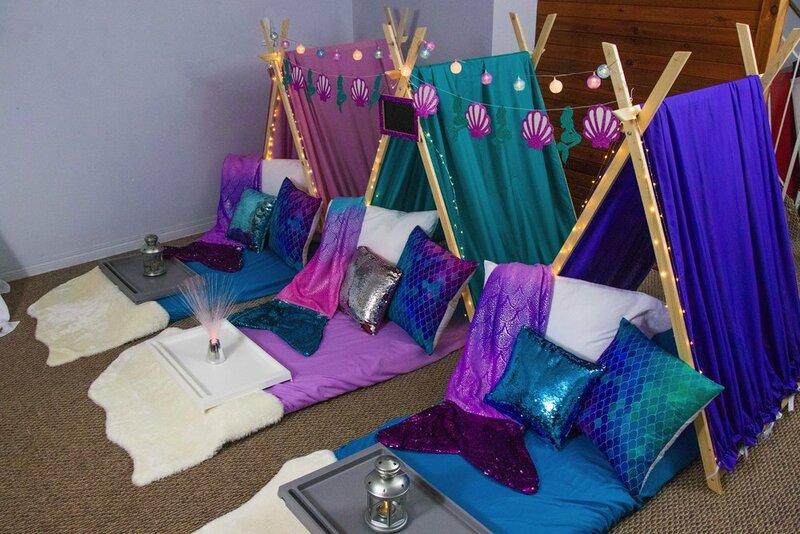 Perfect for outdoor sleepover! Do you want to sleep under the sky?